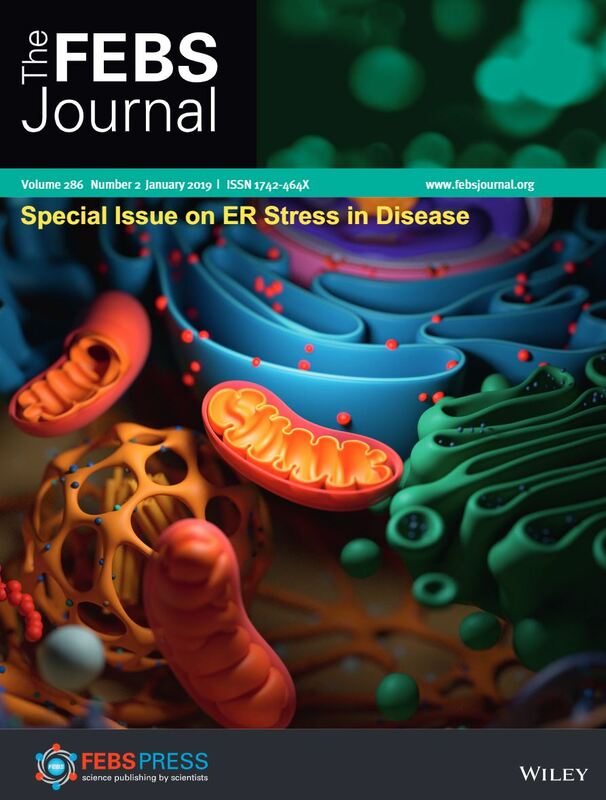 The FEBS Journal kicked off 2019 by offering its readers a Special Issue on the role of Endoplasmic Reticulum (ER) Stress in human diseases, with 11 freely available reviews written by leading scientists in the field. Several cellular stresses cause accumulation of misfolded proteins in the ER and induce an evolutionarily conserved response termed the Unfolded Protein Response (UPR), which aims to restore protein homeostasis in the ER, but can ultimately trigger cell death if the damage is prolonged. In recent years, numerous studies have defined the involvement of ER stress and UPR in regulation of tissue physiology and human diseases, with increasing evidence highlighting the UPR as a therapeutic target. When a perturbation causes accumulation of misfolded proteins, the cell responds by decreasing the protein load while simultaneously implementing the degradation systems to dispose of malfunctioning molecules. In the Viewpoint that opens this Special Issue, Hideki Nishitoh and Hisae Kadowaki detail the different mechanisms of ‘garbage’ disposal associated to ER quality control. Expanding on this topic, Afshin Samali, Eric Chevet and co-authors provide an encyclopaedic overview of the ER from the structural and functional point of view, and the impact of UPR signalling on development, metabolism, growth and differentiation. To conclude, the authors review ER stress- and UPR-based therapies, discussing the most recent pharmacological approaches that target these pathways. ER stress is frequently induced in cancer cells with high proliferation rates and secretory demands. Consequently, the UPR is an adaptive mechanism that can promote cancer progression. In their Review, Eric Chevet and co-authors describe the role of the UPR in coordinating the interaction between cancer and stromal cells, and how this can impact on antitumor immunity and cancer treatment. Evelina Gatti, Philippe Pierre and colleagues cover the recently emerging synergy between induction of the UPR and production of inflammatory cytokines, and the cross-talk between innate immunity and ER-signalling, which contributes to the onset of several inflammatory diseases. The ER is the physiological quality control-site for newly translated proteins that need to be folded before entering the secretory pathway. Here, Adam M. Benhamexplains that reduction–oxidation (redox) reactions play a pivotal role in this quality control process while also influencing ER calcium homeostasis and lipid biosynthesis. Lung diseases such as pulmonary fibrosis can be caused by and induce ER stress. Intrinsic perturbations, for example mutation of pneumocyte-specific proteins that can accumulate upon misfolding, and external stresses, including smoke inhalation or tissue hypoxia, can disrupt protein homeostasis, leading to pulmonary ER stress. Stefan J. Marciniak and colleagues examine the correlation of ER stress and different perturbations in the pathogenesis of pulmonary disease. Protein misfolding is also a prominent feature of neurodegenerative diseases. One of the three UPR-signalling pathways, the PERK branch, is frequently found to be activated during disease progression. Daniel Hughes and Giovanna R. Mallucci define the dysregulation of this UPR-signalling pathway as a key event in the pathogenesis of neurodegenerative diseases, and discuss how modulation of the PERK pathway can be therapeutically beneficial. D. Thomas Rutkowski illustrates that UPR signalling is not only restricted to guarding protein homeostasis in the ER, but extends to cellular homeostasis and regulates different cell-specific pathways. In this context, the liver, a highly proliferative and secretory tissue, is a robust model to explore the involvement of UPR-signalling and ER stress in tissue function, dysfunction and disease. Growing evidence points at ER stress-induced signalling pathways as physiological regulators of skeletal muscle metabolism, and the UPR is often activated in pathological conditions including degenerative muscle diseases and myopathies, as detailed here by Dil Afroze and Ashok Kumar. Ocular diseases are diverse and include degenerative disorders like glaucoma and retinal degeneration, myopathies, retinal dystrophies, and vascular disorders like diabetic retinopathy. All these devastating diseases are characterised by activation of ER stress and UPR pathways. Heike Kroeger and colleagues review these in detail and show that pharmacological treatment targeting ER stress pathways has proved to be beneficial in animal models. Yoshikazu Uchida and co-authors close this Special Issue by reviewing the involvement of chronic ER stress in the pathogenesis of several skin diseases, like rosacea, vitiligo and melanoma, and describing the role of ER stress in normal function of this tissue. We are very grateful to our authors and referees for their valuable contributions to this issue and for sharing their expertise. Our special thanks go to Guest Editor Stefan J. Marciniak for inviting excellent contributors, coordinating this Special Issue and providing a comprehensive introduction to this topic that will surely be of exceptional interest to the community. We hope that you’ll enjoy reading these reviews and will find them useful and engaging!